For Windows Developers who need to audio capture, record from Microphone or Playback Device, add pitch effects for C#, C++ , VB.net , VB, Delphi, VFP, MS Access. 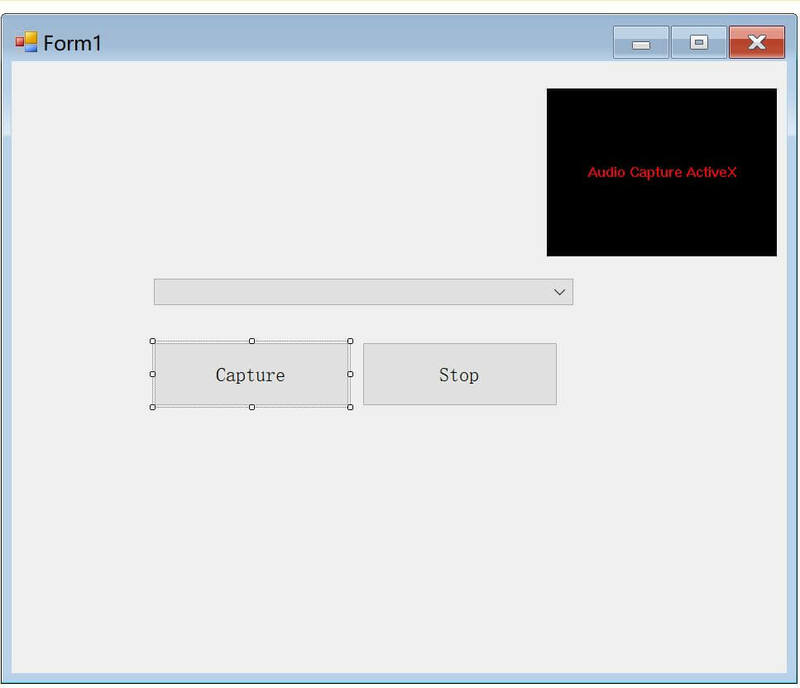 Step 1: To install the Audio Capture SDK ActiveX Control, begin by launching the setup file (http://www.viscomsoft.com/demo/audiocapturesetup.exe). 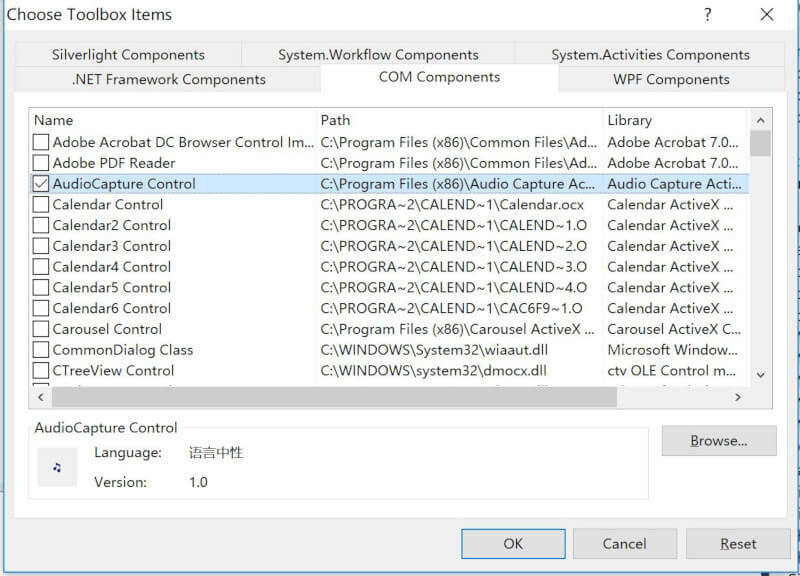 Select the desired installation folder for the Audio Capture ActiveX and continue with the installation on your development computer. 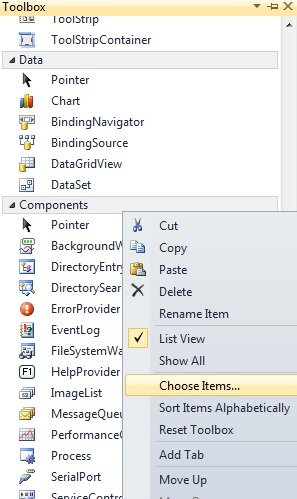 Step 4: Select COM Component tab, select the Audio Capture Control, click OK. 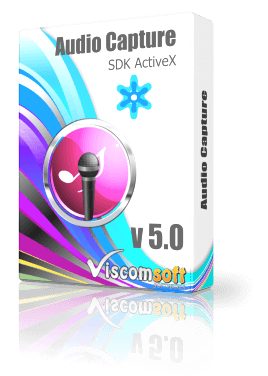 Step 5: Now you will see the Audio Capture ActiveX's icon on toolbox, drag it to form. Step 6: Add 2 buttons and one combo box on form. 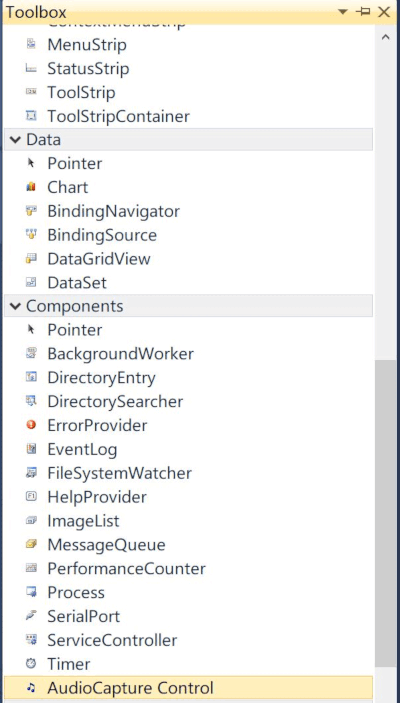 Step 11: run the Windows Application. click the Capture button, it will capture the audio from selected playback device and output mp3 file.